Social media marketing has gone through its coming-of-age process and brands can no longer afford to use experimental practices to engage audiences. All-new research from J.D. Power and Associates discovered a link between social media efforts and business metrics. Marketers must get serious about social results, and it starts by with understanding how different people use and abuse online services. The study focused on two types of social media engagement – marketing and servicing. J.D. defined these two elements to explain how social media can affect brands’ bottom lines. Marketing engagement – This practice centers on connecting with customers to build brand awareness and loyalty. J.D. provides promoting coupons and deals as an example. Servicing engagement – Service on social refers to troubleshooting. Brands must allocate time and resource for social care that includes answering questions and resolving problems. In fact, Brafton reported that 55 percent of Facebook fan questions were fielded by brands in Q4 2012, showing that more companies believe in the power of social care. What feedback did the study offer? New research shows that marketing engagements vary by age group. Thirty-nine percent of consumers aged 30 to 49, and 38 percent of internet users above 50 engage with their favorite brands online in a social engagement context. Consumers aged 18 to 29 behave much differently, with only 23 percent interacting in the same way. 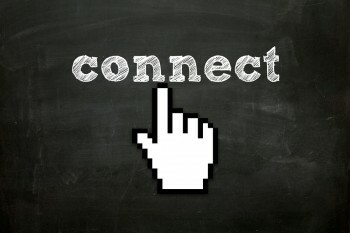 87 percent of survey respondents indicate that online social engagement positively impacts their likelihood to purchase from companies they’re connected with online. In fact, 43 percent of 18 to 29 year-old consumers use social media for servicing engagement, compared to 39 percent of people aged 30 to 49. This insight shows that brands catering to a wide audience must approach social media marketing in more than one way. “Companies that are focused only on promoting their brand and deals, or only servicing existing customers, are excluding major groups of their online community, negatively impacting their satisfaction and influencing their future purchasing decision. A one-pronged approach to social is no longer an option,” Jacqueline Anderson, director of social media and text analytics at J.D. Power and Associates, said. More, 87 percent of survey respondents indicate that online social engagement positively impacts their likelihood to purchase from companies they’re connected with online. This study shows that companies with dynamic and responsive social presences not only build loyalty with customers, but also generate higher conversion rates.